Why Choose Medicare Part C Instead Of Original Medicare? For many people who are disabled or over the age of 65, Medicare Advantage (Part C) is the best choice for healthcare in America. Original Medicare provides some of the basics. But you get tons of different choices and customization options for coverage through Medicare Advantage. One of the reasons for this is that private companies create Medicare Advantage plans that are approved under Medicare. These plans cost less than private healthcare plans that you would buy from the same company. Therefore, it’s easy to see why Medicare Part C has become a popular choice for many Americans. What’s covered in Medicare Advantage? Part C plans offer a variety of benefits, ranging from just the basics to those providing hospice care and prescription drugs. Private insurance companies sell these plans. However, they still provide the same low-cost Medicare benefits. There are also several options of Medicare Advantage plans to choose from. HMOs, PPOs, PFFS plans, MSAs and Special Needs Plans are all available under Part C.
If you qualify for Original Medicare, you also qualify for Medicare Advantage. Typically, those who are over the age of 65 and those who are disabled qualify for Medicare. In addition, you can also get coverage for Medicare Part D (prescription drug coverage) with most plans. All private companies must offer a Part D Medicare Advantage Plan. Since private companies sell Medicare Advantage Plans, their true value is their flexibility. They allow you to customize your coverage, while paying less than for a private health insurance plan. Health Maintenance Organizations (HMOs) — With these plans, you have less flexibility, but still more than Medicare. An HMO provides a network of healthcare providers and facilities. You simply choose a primary physician and facility. Medicare typically has fewer choices for in-network providers. But when you join a Medicare Advantage plan, you often get a wider selection of providers and facilities. However, like Original Medicare, if you need to see a specialist, you’ll likely need a referral from your regular doctor in an HMO. Preferred Provider Organizations (PPOs) — PPOs definitely have the most flexibility with MA plans. They offer a network of doctors and facilities. But you can also go to doctors outside of your network. Typically, this requires a copayment and some out-of-pocket costs. But it’s still not as expensive as if you had Original Medicare or a private healthcare plan. Private-Fee-for-Service (PFFS) plans — With a PFFS plan, you get a benefit delivery that doesn’t limit you to any network. You get a lot of flexibility with these plans. However, they have a higher cost. There aren’t any guarantees that a doctor or hospital will accept your PFFS Medicare Advantage plan either. It’s best to check out if a doctor will accept your plan before you change to a PFFS plan. The different types of MA plans appeal to those who want to save money on health insurance. These enrollees also enjoy all of the coverage provided under Medicare Part A and Part B. Private health insurance companies must provide you with the same services as any Original Medicare plan with Medicare Advantage plans. Even with all of the flexibility, there are some additional costs to Medicare Advantage. However, these can be reduced dramatically, if you qualify. Medicare Advantage plans offer premiums for as low as $0, in some cases. They typically do not go above $104.90 a month. And, you may be able to have your health insurance paid for completely. You’ll just need to prove you are unemployed or you qualify for social security disability. If you need prescription drug coverage, MA Plans are the best way to go. Most MA plans offer some kind of drug coverage where 50 percent is paid for. This means that you can get name brand prescription drugs for a much cheaper cost. In addition, you don’t have to accept drug coverage if you already have it through another provider. You may choose to go with Medical Savings Account (MSA) plan. If so, you still save money by choosing Part C over Original Medicare. That’s why the plan is used by 33 percent of individuals who have Medicare. This means that you are saving money every time you pay a premium. You can then afford to add other services, like vision, dental and health and wellness programs, to your plan. Some companies offer freebies to entice enrollees into purchasing their MA plans. These can range from gym membership discounts to free blood pressure tests. It all depends on your Medicare Advantage plan provider. You may want to compare different Medicare Part C plans beforehand. You’ll notice many companies are now offering these freebies upfront to their customers. There are a variety of Medicare Advantage plans that go above and beyond Original Medicare. These MA Plans offer vision, dental, hearing and mental health programs. These extras depend on the private insurance company. But you can expect to save a lot of money if you choose to go with an all-inclusive plan that has any of these services. When bundled with MA Plans, vision insurance provides routine checkups for eye care and offers discounts on prescription glasses. You may be able to visit an in-network optometrist without having to pay a copay. This gives you the freedom to pick and choose an optometrist and still save money. Some dental insurance is provided with private Medicare Advantage plans. Aside from teeth cleaning and routine care, this may even provide assistance for serious teeth-related health issues. If you have any issues with your teeth, it’s important to seek out Medicare Advantage coverage that allows you to see a dentist when you need to. You may be in need of hearing aids or have ear infections. If so, hearing insurance is the best way to go. These plans are typically for those who are older. But there are also some plans for those on disability who get hearing coverage, as well. Typically, these require a higher premium. You may be on disability and seeking Medicare Advantage Plans. If so, you likely will want to have some kind of health and wellness, as well. These cover a range of health issues, including mental health issues and weight loss. Most of these plans provide coverage for consultations, prescription drugs, rehabilitation treatments and more. One drawback to Medicare Advantage is the lack of Medigap coverage. If you have Medicare Part C, then you don’t qualify for Medigap. In fact, if you are on Medicare Part C and somehow get approved for Medigap, your coverage will revert back to Original Medicare. If you think that your Medicare Advantage isn’t working for you, a Medigap plan may be the best alternative. 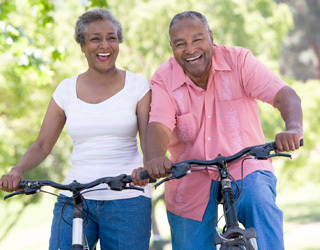 Because of the cost and ease to qualify, many retirees choose Medicare Advantage. And yes, the plan does offer some of the same services as Original Medicare. But it’s important to read your plan thoroughly. You must understand where you’ll be receiving medical treatment and what’s covered. Most Medicare Advantage plans are approved simply if you have already been approved for Medicare. As a default, you must be approved for Part A and Part B to be approved for MA Plans. Companies often will allow an individual to switch to a Medicare Advantage. But you have to enroll during one of the specific times of year that this is allowed. You can typically enroll or switch to a Medicare Advantage plan at the beginning of every year. Medicare is a great option for individuals without insurance. However, Medicare Advantage plans provide more options. And, they let you pick and choose how you want to be treated. To understand how each plan works, you should always compare Original Medicare and Medicare Advantage plans side-by-side. You can use our tools on MedicarePartC.com to ensure that you get the most accurate quote for services in your area. You may also want to take a look at HealthNetwork.com. This website provides a variety of Medicare Advantage Plans to explore.